The livestock export industry is the greatest drought strategy Australia has, Scot Braithwaite maintains. 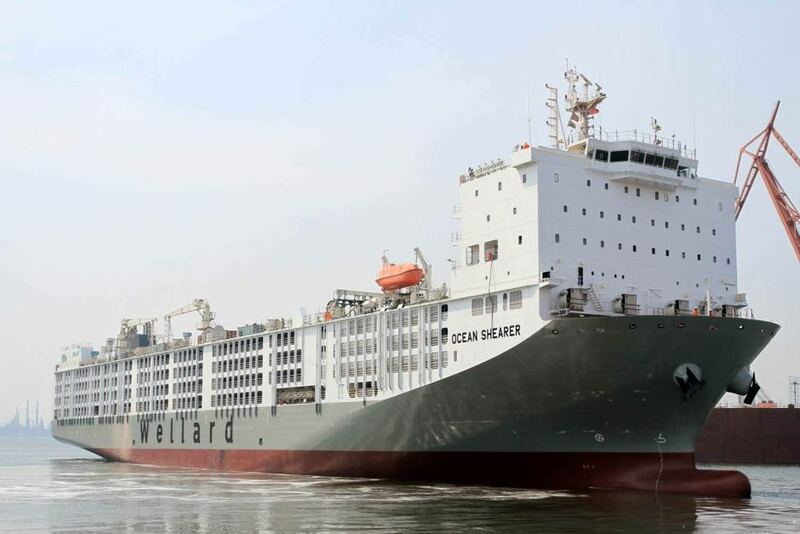 The experienced exporter urges those calling for the trade’s ban to consider what would happen if it was removed as a market outlet, particularly for thousands of northern cattle producers who rely on it as a destocking option during drought. “One of the greatest things about live exports is the option it gives to sell light cattle,” he said. “There is nothing worse than trying to hold cattle on hay and cottonseed and molasses when they are 320kg and you have to get them through to 500kg before an abattoir will buy them. “It is a long hard road in the middle of a drought. With much of Australia already drought-affected and forecasts predicting below-average rainfall this summer, Mr Braithwaite said Indonesian feedlots have the capacity to buy cattle as light as 200kg, provided they can be bought at an affordable rate. “Better to be sold at 200kg than die in a paddock,” he said. “It gives people the option to send 180kg weaners to Indonesia where they can be fed on rice straw for 150-180 days and then go on a feedlot ration. “They can free up their paddocks, get a bit of money and buy feed to keep their breeders alive. “That is the thing about live exports, we need to be advising people that don’t understand that is the value of having it. “To put up with the few crashes that happen is better than having 100,000 cattle die in a paddock. Regenerative farming, and diversifying, are keys to drought proofing, not live export. Live export is a way out when there is drought. Live export has been around for decades, as we all know and so to rename it ‘droughtproofing’ is nonsense. Beef ain’t the only protein. Protein has been another catchcry, as if we are short of it. Many varieties of legumes provide much more efficient protein for humans. They are a direct and tasty food source with many nutrients to humans rather than having to feed cattle first and then they feed humans. It’s crazy crazy land and transport inefficiency to shift compressed oaten hay to overseas feedlots to cattle so that they can be killed to feed humans. It’s climate changing too. Building lively soil health is droughproofing Australia. This brings the waterways back too and with less soil erosion. The Live Export industry,has had decades to clean up its act.Instead,they have pursued a policy of profit before welfare. Sheep have arrived in the Middle East cooking from the inside out. This is because they leave here in our winter,and arrive in an Arabian summer. Stacking density’s have been appalling,all in the name of profit. Treatment from the importers has also been of the severest nature. This has caused the banning of Australian sheep from theAL-Rai market place in Kuwait. I hope it is forced t o close down,and soon. I am behind your strategy, keep exports going. Isn’t this the absolute truth. I hope the government gets it. It would be good if they also got the report on the future of our beef processing industry which has also been obvious for years. Meat processing has to go either overseas or robotic just like all the other industries apart from speciality ones. However going robotic didn’t save the auto industry so will it save our beef processing one? I concur with Scott’s summation. I have been spruiking the same message since the early 90’s working in NQ in this industry. Given the significant seasonal variation in annual rainfall in North Qld: No rain = no grass = light cattle (no LWT gain) = great feeder cattle for livex. I know from personal experience working on clearing dips & talking to many NQ graziers how the livex industry saved them during droughts & dry periods. In some cases it kept the banks at ease. This market provided an outlet for light cattle that had literally nowhere else to go. It is probably the most important key drought strategy the beef grazing industry has..